"An epic 9 day 3 400 km journey from Pretoria to Walvis Bay covering the Karoo, the Kalahari, Fish River Canyon, Sossusvlei and the Etosha Pan." 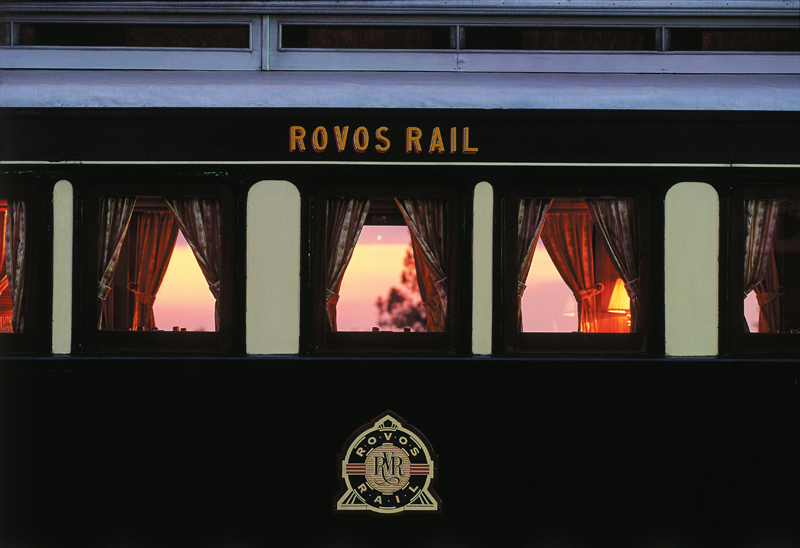 Rovos Rail’s Namibia safari is an annual odyssey, traversing some wonderfully diverse landscapes as it takes you on a 9 day, 3 400 kilometre (some 2 112 mile) long journey. 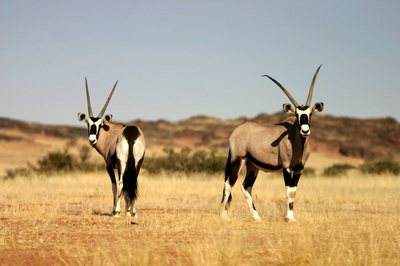 You travel from the open lands of South Africa’s Highveld, to the cool Atlantic Ocean in Namibia. Your luxury Train Safari starts at the Capital Park Station in Pretoria, and travels via the historically interesting town of Kimberley – home to the Big Hole and the site of one of the World’s greatest diamond rushes. 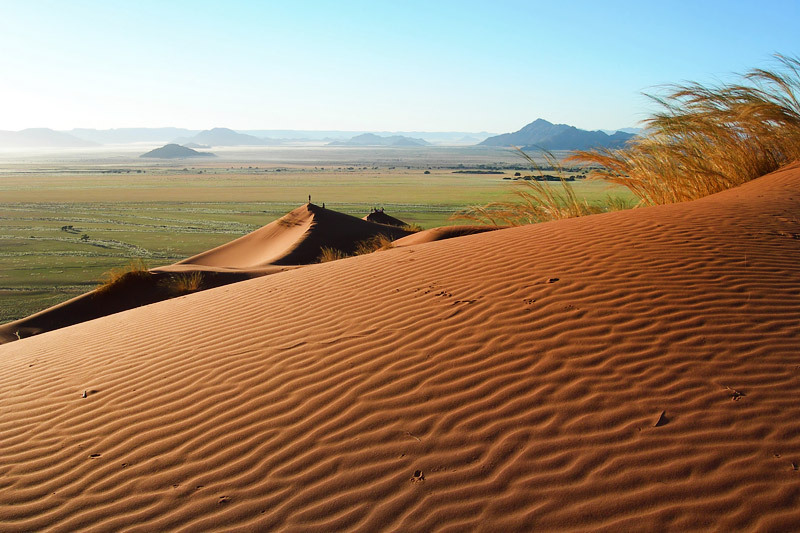 The journey continues across the arid yet starkly beautiful Northern Cape and on to the border post of Ariamsvlei, which takes you into Namibia. 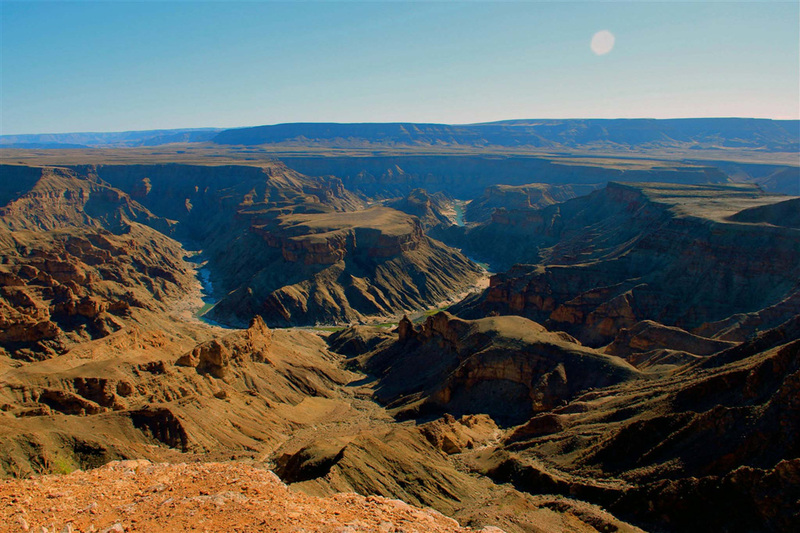 Enjoy an excursion to the famed Fish River Canyon (second only in size to the Grand Canyon). 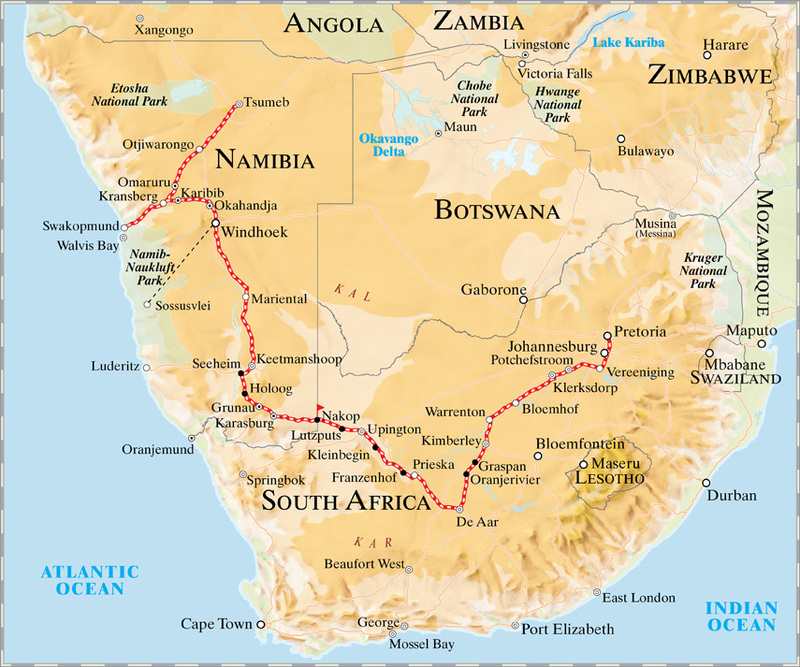 The train then continues to the north, through the edge of the Kalahari, to Namibia’s capital, Windhoek. Here you get the chance to go on a short tour of this small, yet charming city, with its German colonial history. From Windhoek, you take flight as you are transferred by light aircraft to the famed dunes of Sossusvlei, in the world’s oldest Desert – the Namib. 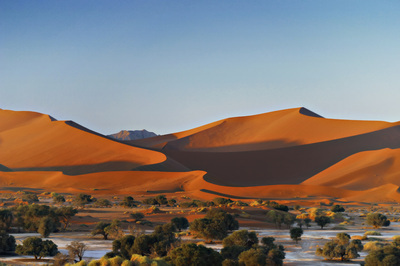 Here you get to experience the stunningly large and garnet coloured sand dunes… which go on for miles and miles - truly a unique area. Enjoy a night in the desert, including wilderness drives and a bush dinner. Your light aircraft transfer then returns you to Windhoek, where you re-join the train. There is a leisurely overnight journey through to The Etosha. You will be transferred to a Safari Lodge enjoying the wild on safari vehicles. The Train continues to the coastal town of Walvis Bay. It is here you fascinating journey ends, and you can continue with the remainder of your Safari arrangements. 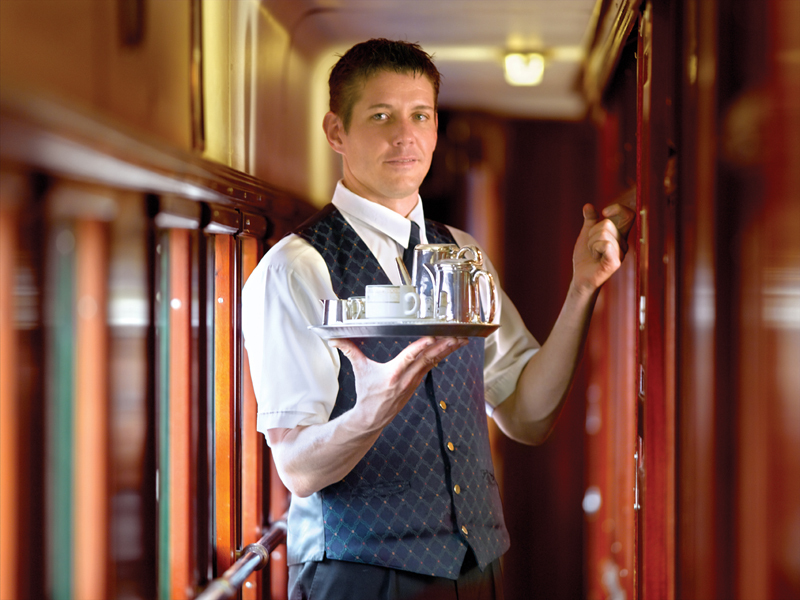 Pre- and post train arrangements available - speak to one of our specialists! 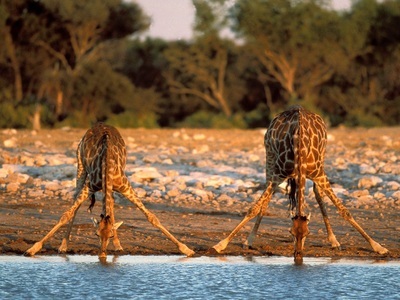 accommodation, meals and excursions as well as all beverages, incl. 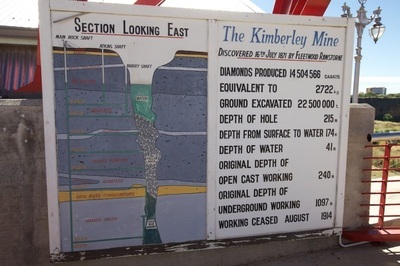 09h45 Visit the Big Hole and Diamond Museum in Kimberley. 15h00 Visit Garas Park and the Quiver Tree Forest. 14h00 Depart Windhoek and travel north to Etosha National Park. 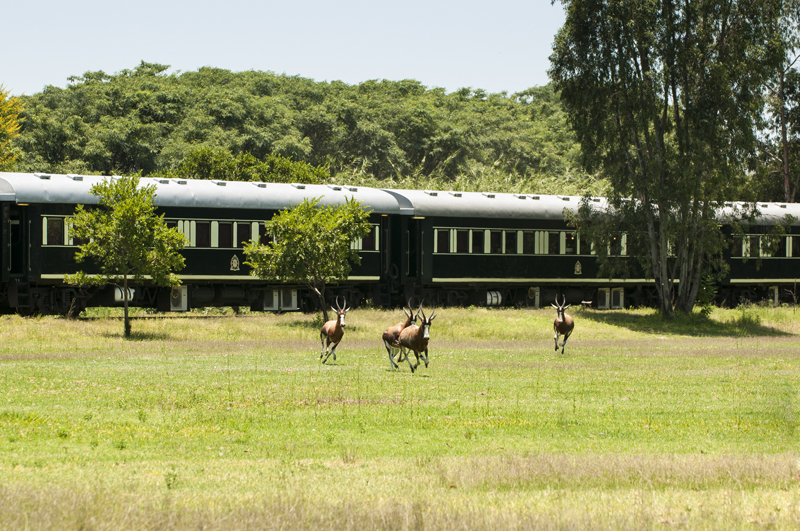 09h30 Transfer to a lodge in the game-rich Etosha National Park for lunch, game drive and overnight. 12h30 Arrive at journey’s end in Walvis Bay, Namibia. 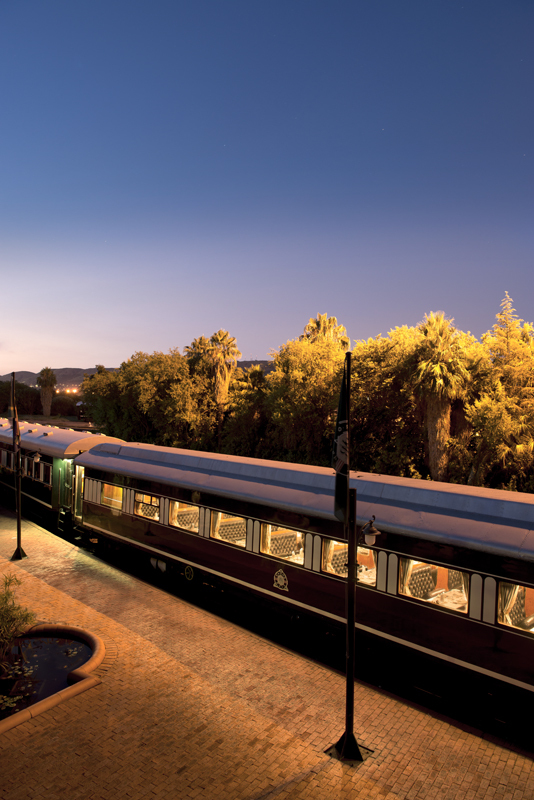 12h00 Depart Walvis Bay and enjoy lunch as the train leaves the Atlantic and traverses the Namib Desert. 13h00 Return to the train and travel south to Windhoek. 11h00 Depart in light aircraft for 1-hour flight to Sossusvlei for lunch, desert drive, bush dinner and overnight. 14h00 Depart Windhoek. 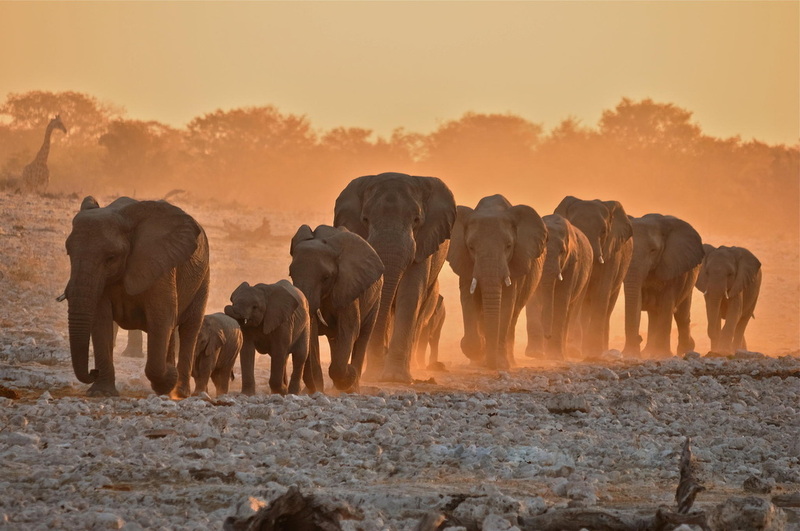 Travel south through the Kalahari. 08h00 Visit Garas Park and the Quiver Tree Forest. 15h00 One-hour transfer to visit the Fish River Canyon. 19h30 Dinner on board. Travel the Kalahari to the border. 08h00 Optional two-hour walking tour of Upington. Day at leisure as the train travels into the Great Karoo. 14h30 Visit the Big Hole and Diamond Museum in Kimberley. 16h00 Depart Kimberley and travel north into the Highveld. 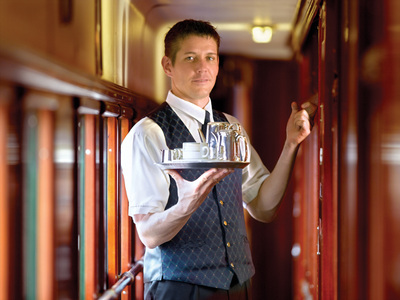 07h00 Enjoy breakfast as the train travels the goldfields. 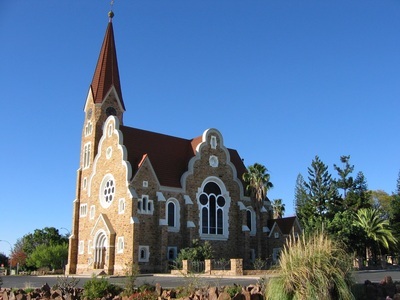 12h00 Arrive at journey’s end at Rovos Rail Station, Pretoria.